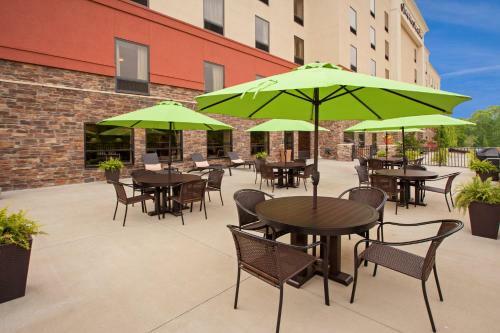 A free hot daily breakfast and guest rooms with 32-inch flat-screen TVs are offered at this Canton, Ohio hotel. The Pro-Football Hall of Fame and American Electric Power are nearby. 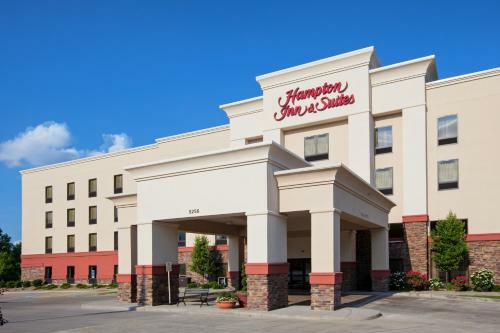 Hampton Inn & Suites Canton features an indoor pool and a fitness centre. A business centre and laundry facilities are located on-site. Guest rooms at the Canton Hampton Inn are equipped with cable TV. Coffee makers and work desks are also included in each room. The Canton Classic Car Museum and Edgewood Golf Club are within minutes of the Hampton Inn in Canton. Fishers Foods Marketing Incorporated and Diebold are also nearby. 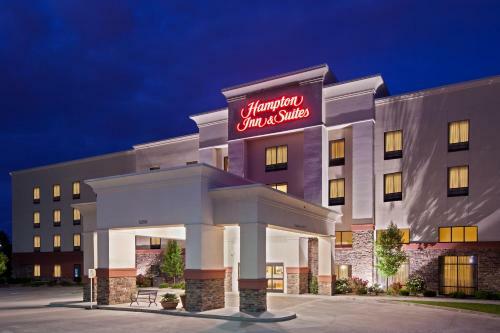 the hotel Hampton Inn & Suites Canton so we can give you detailed rates for the rooms in the desired period.